Jello shots are fun and they're even better when the recipe is based on one of your favorite drinks. That's exactly what you'll find here: the classic whiskey sour drink adapted into a jello shot! It's great for a party and really easy to make. The whiskey sour jello shot is one of the many fun jello shots inspired by popular cocktails. It uses your favorite whiskey—bourbon or a blended whiskey is recommended—and unflavored gelatin. The sour flavor comes from lemon juice, and a little simple syrup is added to sweeten it up. This recipe uses a single packet of unflavored gelatin, which is the most common size and equal to about 2 1/2 teaspoons. It will make about 16 1-ounce shots and you can multiply the recipe to make more if you like. However, it is good to give a single batch a try first. You can always make more. Mix the whiskey, lemon juice, and simple syrup with cold water and chill in the refrigerator until the mix becomes a consistent temperature. Add the unflavored gelatin and let it sit for about 3 minutes. Add boiling water, stirring until the gelatin is completely dissolved. Stir in a few drops of food coloring if you want to customize the color. Pour into shot glasses, molds, or a baking pan for a sheet of gelatin to cut up after it sets. Refrigerate until the liquid sets up; at least 2 hours, but overnight is recommended. The key to spiking jello is to keep the liquor and other ingredients in check. While it may be tempting to pour more whiskey, this can result in jello that won't set all the way. It creates a big mess unless you serve it in a hands-free way like plastic shot cups or with miniature spoons. Even then, it can be more like slime than jello and leaves a bit to be desired. To prevent a jello disaster, always make sure your liquid ingredients add up to no more than 2 cups. One cup of that needs to be boiling water and the 1/4 cup of cold water should also remain (though it's not as critical). Just keep in mind that whatever you add to the liquid volume of one ingredient needs to be taken off of another ingredient. You can use lemon-flavored gelatin, but you will need to make adjustments. First of all, you'll need to use a full 3-ounce package of lemon jello for the same volume of liquids. 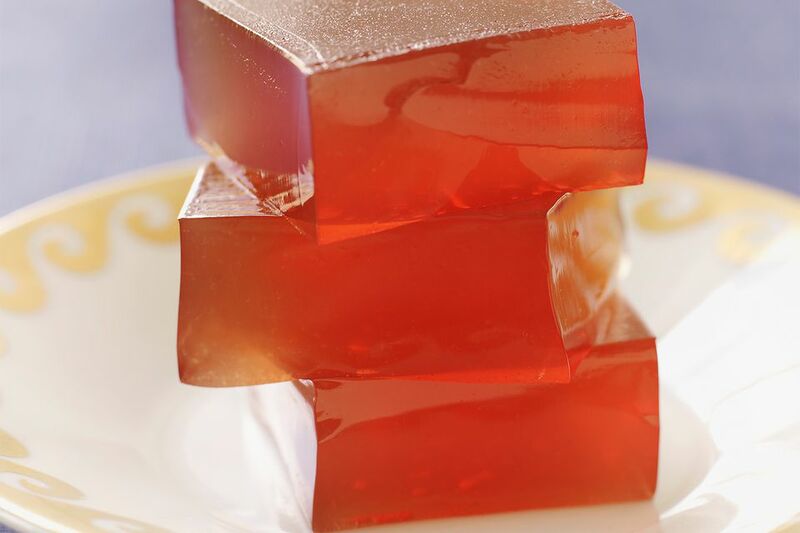 Unflavored gelatin (like that made by Knox) is much more concentrated than flavored gelatins, which add sugar as well as the flavoring ingredient. Also with lemon jello, you might find that your whiskey sour jello shots are a little too sour. Cutting the lemon juice to 1 or 1 1/2 ounces will take care of that; make up the difference with extra simple syrup or whiskey. How Strong Is a Whiskey Jello Shot? Not only are jello shots fun to eat, but they're also rather light on the alcohol. If you stick to the recipe and use an 80-proof whiskey, these jello shots weigh in at just 7 percent ABV (14 proof). Take it slow though because it's easy to have one too many of these tasty little shots. Have You Tried the Pickleback Yet? Grab the Pickle Juice!